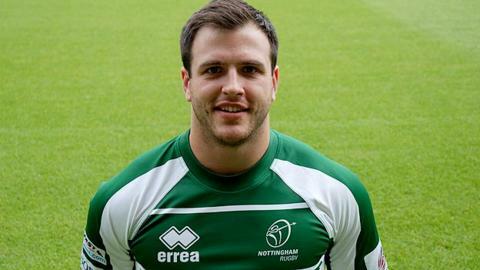 Nottingham will be without three-quarters Rhys Crane and Tim Streather for Saturday's British and Irish Cup tie against Llandovery. Winger Crane, who played all of Saturday's 48-16 win against Jersey on Saturday, scored a try despite breaking a bone in his left hand. Centre Streather, who also figured the full game, suffered a similar injury. There is no time scale on the duo's return, although Streather is expected to return sooner. "At the start of the season I said that our success would come down to a squad effort," coach Martin Haag said. "The opportunity is there for guys who haven't played as much this season to step-up and make a permanent challenge for their place in the team."